The Mongrel's 2018 Awards - As Voted By YOU! — The Mongrel Punt Become a Patron! The Mongrel's 2018 Awards - As Voted By YOU! ‘Tis the season for AFL awards, and what sort of footy page would we be if we didn’t have a few awards of our own to dish out? Possibly a better one, but we don’t really care. As a matter of fact, rather than pretending to be the all-seeing, all-knowing oracles of AFL, we decided to do things a little more stealthily and canvas you guys for your opinions of who should be crowned as the year’s best. I mean, I’m guessing you watch just as much footy as anyone, and probably more than many of the players who get to cast their votes on the AFL MVP award. The umpires can’t even get simple things like free kicks or 50 metre penalties correct; how the hell can they cast votes on who the best player is? That means that, to me, these awards are where it’s at. I mean, I would say that, because they’re our awards. You cast a votes, you had your say, and we compiled them all to come up with our Mongrel Awards for the 2019 season. We hope you enjoy. This was neck and neck all the way through the counting, and we had to do a recount just to make sure. So many awards are won by midfielders, but this season has seen a shift away from that, with both Gawn and Brodie Grundy raising the bar for ruckmen. Gawn’s tap-work has been marvellous this season, and whilst I would’ve preferred Grundy as my starting ruck, the people have spoken, and Gawn is not only your preferred ruck, but you’ve instilled him as the first ever Mongrel Punt Player of the Year. The way he took it upon himself to fill the defensive void left by Jake Lever at times exemplified not only a player who knew where to place himself, but a player with enough footy smarts to know when to do it. He had a mammoth 66 taps on two occasions en route to 1000 hit outs for the season, and consistently found his waiting teammates to give Melbourne the first use of the ball (357 hit outs went directly to advantage). He won narrowly over Hawthorn ball-magnet, Tom Mitchell. 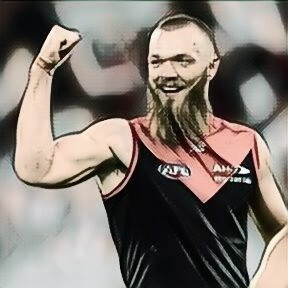 As much as I loved Mitchell’s year, and that of Grundy as well, I can’t fault the selection of Gawn as the player of the year. The Rising Star Award is so restrictive. You can’t be over a certain age, you can only have played a certain number of games the year before, you can’t have been nominated last year, your eyebrow hair can’t be over a certain length (this is the rule that really screwed me over!). So we decided to simplify it. If it’s your fist year, you’re eligible. If it’s not your first year, then you should’ve been better last year. Kelly was a revelation in the blue and while hoops, pushing his way into a midfield rotation boasting the likes of Dangerfield, Selwood and the Little Master himself. He finished the home and away season with the impressive numbers of 23.1 touches per game, just over a goal per game, and four clearances. He had a couple of huge quarters, including one last quarter where he compiled a mammoth 19 disposals against the Western Bulldogs. The Rising Star may have ‘guidelined’ him out of contention, but he is a runaway winner in this category. The Eagles have a bit of an embarrassment of riches down back. Hurn was probably robbed of the All-Australian captaincy, being the only legitimate AFL Captain in the side, and they have Brad Sheppard floating around down there as well, but there is no question as to the value of Jeremy McGovern. In an amazing statistic, Gov has broken his own record for most intercept marks for the year. The thing is, he also owns three of the top four seasons in this category. He has just played his 100th game and is already a 3x All-Australian. McGovern really put a stamp on the Eagles’ win over the reigning premiers in Round Nine, when he underpinned the West Coast defence to take five big intercept marks in the first quarter. It was a statement game from McGovern with the reigning All-Australian captain at the other end of the ground. He may have won the Coleman Medal twice before, but Riewoldt’s efforts in the forward half were about so much more than kicking goals this year. They say a great player makes those around him better, and that’s what Jack Riewoldt was able to do in 2018. There was an air of Jason Dunstall about Riewoldt’s selflessness this season. He actually seemed just as happy setting up teammates as he was kicking the goals himself, and though his total of 65 majors for the year was the lowest to win the award (ties with his own effort in 2012) since Doug Wade in 1962, Riewoldt also had 19 goal assists and 173 score involvements. Jack seemed to make something out of nothing at times, and on several occasions I can recall him batting the ball backwards over his head and into the path of a teammate when most players would’ve been content to allow the ball to bounce out of play. Much has been made of Riewoldt’s transition into a leader, and into a team-first player. It is a far cry from the early days of Riewoldt where pouting, posturing and spraying his teammates seemed like the norm rather than the exception. I’m not sure there is a more divisive figure in the game than Rance. Whilst his defensive prowess saw him collect another All-Australian berth, there are many who cast shadows on his accomplishments. Some say he guards space, whilst others say when he does get isolated in one-on-one situations, he gets beaten. As readers of this site will know, I am no huge Rance fan, but what I am is someone who recognises a player who is good at his craft, and Rance is just that. He had a shaky start to the season, with games against Josh Jenkins, Jake Melksham, and either of Jack Darling and Josh Kennedy catching him out whenever he drifted off them to help a teammate, but his second half of 2018 was stellar. His work against Franklin and Hawkins were of the level you’ve come to expect. So, is he overrated? In order to be overrated, you have to be rated highly by some, and whilst I do think a lot of people jumped the gun in proclaiming him one of the greatest defenders of all time, his consistency and commitment cannot be questioned. Is the best defender in the league right now? Maybe, but if he isn’t, he’d have to be in the top handful. Well, I had Caroline Wilson's name ready to go in this category, but BT reeled her in, largely thanks to his exposure, I'm guessing? Whether he's getting people's name wrong, elongating their pronunciation ("Lllllllooooooyd") or getting a little too excited whenever they're near the ball (Orrrrrrrazzzzio Faaaaantasiaaaa"), BT seems to have rubbed a few people the wrong way with his over the top Rex Hunt-ish delivery. Even a few people I know have started railing against BT, after they'd been firmly on his side since his days on the Triple M commentary team (the first time around). Maybe Toby Nankervis had the right idea with BT recently - if you ignore him, he may just go away. An extremely tight race for this most coveted award. If only is actually represented its alternate meaning, huh? Sadly for these people, it means that they are viewed by readers of The Mongrel Punt as the biggest tools in the AFL shed. And chief amongst them was James Sicily this year. Whether he was trying to steal high fives from Joe Daniher, dropping the knees into Joel Selwood’s head, or deliberately stepping on a fallen opponent, Sic was a complete wanker at times. Sadly, it may have overshadowed his ability on occasion, as he played some inspired footy prior to his wrist injury, and was right in contention for an All-Australian slot. To realise just how knob-ish Sicily was, you just have to look at his competition. Brian Taylor, Kane Cornes and Patrick Dangerfield all polled very well is this most prestigious category. And for the record, I really like Kane Cornes. It’s funny; we did our All-Australian B-Team last week, and despite me thinking that Selwood was the most consistent of the Geelong mids this year, he was the one who missed out. You had Dangerfield in the actual team, we added Ablett to the B-Team, and there was Joel Selwood… left out in the cold. Readers of this site will have no question as to whether I rate Selwood. I think he has been everything you’d want from a player and captain over the last seven years, leading by example and never afraid to put his body on the line for his team. How many times have you seen him bleeding from the head? When he goes into a pack with his head over the ball, he knows what’s coming, yet he never, ever shirks the issue. He has been lambasted for the shoulder shrug to draw high tackles, and has received the highest amount of free kicks this season again, despite that total being the lowest since his rookie season in 2007. For those who need a reminder as to how tough Selwood is, here’s an excerpt from our article earlier in the year, highlighting Selwood’s willingness to play through pain if it means it helps his team. As game 250 came and went for the Geelong Captain, he shows no signs of slowing down. In that milestone game he racked up 39 touches and was easily amongst the best players on the ground. Caught in a tackle in the third quarter, his knee seemed to buckle underneath him. His face was a mask of pain as trainers and doctors rushed to attend him. And that, ladies and gentlemen, is why I could not be prouder to have our inaugural Mongrel of the Year award go to Joel Selwood. Cotchin may win best captain, but Selwood is a mongrel Cats’ fans should be proud of. And we'd like to thank the readers who sent in their "write in" awards as well. Gave us a chuckle. And Paddy Farrelly, we appreciate our nomination as best footy page of the year. See, we do read what you say!